The Future of Fun: Innovative Play for Kids - Innovation Loft | UNLEASH YOUR TEAM’S POTENTIAL! Come celebrate The Future of Fun with Funny Garbage! Monday, February 16th, join the creative directors from PBS Kids and Cartoon Network and other industry experts as they share how they envision the digital lives of kids evolving over the coming decade in an open panel discussion. Enjoy relaxed networking and raise a glass with friends, colleagues and other kids’ industry gurus. Participate in a rapid innovation brainstorm game to create your own vision of the future of kids digital. Chris has designed websites, apps & games for kids ages 2-8 since 2000. 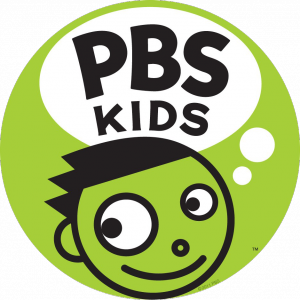 Most recently, Chris created the concept for the new PBS KIDS rebrand which launched in 2013. He is also an illustrator, painter and an Eagle Scout. Mario has been delivering award winning work with Cartoon Network’s digital team since 2000 across several disciplines including design, strategy and production. His heaviest focus has been on games, art directing the majority of their mobile titles as well as their kid-targeted MMO, FusionFall. These days he applies his vision and geekiness as Creative Director for Cartoon Network Digital. Neal is a digital media entrepreneur and CEO/Co-Founder of Speakaboos. Setting the strategic purpose and vision, Neal has guided Speakaboos to be one of the largest, fastest growing and most promising platforms for interactive picture books earning recognition from the Aspen Institute, American Library Association, Education World and National Education Association.